You are greeted on-time as scheduled by myself, Mark Johnson.I go over those areas of concern with you, and you are given a price that meets with your needs and budget. Areas to be cleaned are pre-vacuumed with a clean, high powered commercial HEPA filtered Vacuum. This is a bag type vacuum to further protect your indoor environment. Larger items of furniture are moved and the exposed areas prepared for cleaning. Some items will not be moved, such as China cabinets, aquariums and pianos. Different carpets and rugs need different cleaning solutions. Your carpets are inspected for fiber type, condition, and main type of soil pollutant. 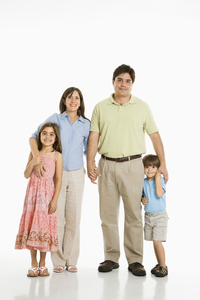 Areas are then pre-treated as needed with solutions that are not harmful to your family, pets, or our environment. All areas visibly tainted with soils are scrubbed with a counter rotating brush machine or an oscillating brush machine. This carries the power of the detergent deep into the pile of the carpet while also pulling out contaminants. This equates to the agitation of any surface being scrubbed prior to rinsing away soils and greasy type contaminants. Rotary rinse extractors are used that both agitate while rinsing away soils and dirt. 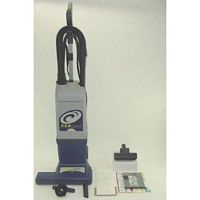 These are coupled with extraordinarily powerful vacuums to pull as much soil and moisture from the carpet as possible, while rinsing with a hot water solution. We may use the Rotovac machine (shown) or a larger single head rotary machine, branded the RX-20. 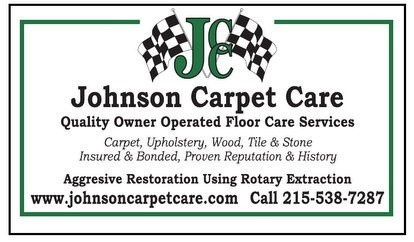 Both simulate a washing machine affect for your carpets, without damage to the carpet fiber or backing. I then wand all areas to further dry the carpet, and to reach those areas that the rotary machines cannot reach. 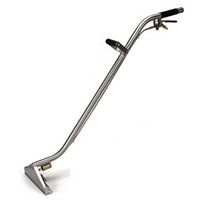 This is the most commonly used tool by the professional carpet cleaner, but I have taken the process to a much higher level, as shown by my process. 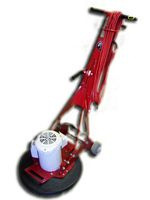 Depending on the carpet pile, areas are groomed using the Grandi-Groomer tool. This combs out the carpet pile, and can accelerate dry times. If Scotchgard has been applied, this helps infiltrate the fiber. High powered air movers are used to further accelerate the drying of the carpet. Run time varies with the size of the job. Humidity will greatly affect dry times, as will carpet weave and pile height and density. Some berber carpet weaves and commercial glue down carpets may further benefit from the post padding of some areas with the use of an oscillating pad machine. This pulls away any contaminants that may "wick" onto the surface of the carpet. Before I leave, you are invited to inspect the areas cleaned. Stain removal in most cases is included. You are invited to use our services at regular intervals, as regular cleaning is good for your budget as well as your health.